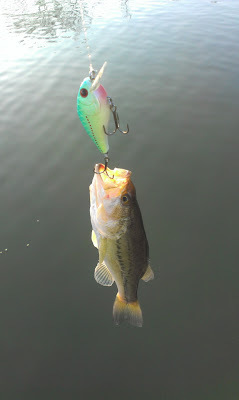 Ask yourself this question - what are my favorite lures and combos to use when I fish? I'm willing to bet that most of us could narrow down our tackle and rod selection pretty quickly if we took the time to make an honest assessment of our fishing styles and preferred techniques. I would expect a good portion of anglers out there have several examples of tackle and gear that they have yet to use or rarely use. Admittedly, I still have at least twenty different lures sitting in my house in their original packaging collecting dust. So why do we feel compelled as anglers to carry so much gear while on the water? The dreaded answer is almost always - what if? Well, I am a minimalist by nature in my everyday life and prefer to keep things as simple as possible, and it is now the approach I use when preparing for an outing on the water. When I first started kayak angling, the whole premise of this fishing style is based upon keeping it simple, yet we all know people, including ourselves sometimes, that carry more gear and combos than could ever realistically be utilized for a day of fishing. So how do we go about whittling down our choices and only carrying the items needed? In order to truly minimize your clutter or "noise footprint" while on the water, you need to understand the following three things: rod and reel selection, lure selection and the target area for the day. The following information is geared more towards targeting largemouth bass, but it can be adapted to any species of fish and water type. So let's get started. How often have you had your lines tangle or had a lure get caught up on another rod during a cast or while trying to land a fish? It happens both in traditional boats and on kayaks as well. In order to minimize clutter, it is critical that you reduce the number of opportunities to get hung up, such as during a back cast, while re-tying a leader or lure, while landing a fish and yes even when entering and exiting the kayak. If you have to make some form of an athletic or contortionist maneuver to enter or exit your kayak, it might be time to take a step back and rethink your setup. For me, I contend that on a given day that I can fish effectively with only three combos but understand that pattern development sometimes necessitates an extra combo or two. Now, the brand of rod and reel you choose is your own personal preference, but for argument's sake let's focus on characteristics and performance of the combos. When it comes to reels, I tend to look for reels that have a good feel in my hands when mounted to a given rod; are easy to adjust while on the water; and have reliable and smooth drags. These attributes do not necessarily eliminate many brands from consideration, rather they serve only to inform you that brand names don't govern my decisions of what reels I carry on the water with me. If it has a decent drag, balances well on the rods I own and are easy to use, then it works for me. For me, the primary key to success with the first step of the minimalist approach is matching your rod ratings with the lures you would have at your disposal while on the water. This one step alone will automatically eliminate certain combos right away, and inherently the associated lures and terminal tackle you would use. I prefer to have rods that fall into the medium to medium heavy power ratings and have fast or extra fast actions. The thought process behind this is that I can still handle larger fish in cover by using the kayak for additional drag without having to carry a dedicated heavy combo like a flipping stick or swim bait rod. So, for me, my typical setups even on tournament days are: one medium heavy/fast casting setup, one medium/extra fast casting setup and a medium/extra fast spinning setup. If I am going to be fishing a new body of water, I may opt for a fourth setup as a dedicated rod for heavy cover or another spinning rod for weightless soft plastics. The key is having a plan for what each combo will be utilized for and sticking to the plan by leaving the other "what if" lures and tackle at home. As far as the combos themselves, here is how I would use each combo for targeting bass on a freshwater lake. The medium heavy/fast combo is spooled with 30lb. dark green braid and would be used for jig-n-craws, weighted large profile soft plastics and frogs. The medium/extra fast combo is spooled with 12lb. fluorocarbon and would be used for moving and top water presentations like lip less and traditional shallow to medium diving crank baits, spinner baits, buzz baits, jerk baits, spoons and walk the dog top water baits. In a pinch, it can also be used for finesse plastics like shakey heads and small profile jerk shads. The medium/extra fast spinning combo is the workhorse of my setups. It is spooled with 20lb. braid and a 10-15lb. fluorocarbon leader. It is used for almost everything else in my arsenal: shakey heads, wacky rigs, drop shot, simple jig head and grubs or scrounger heads, soft plastic jerk shads, weightless soft plastics, and small profile suspending jerk baits. I can also use it with in line spinners, small spinner baits and buzz baits or top waters. It is the most versatile combo in my collection and one that is always with me in both fresh or salt water. While rod and reel selection is a personal preference and hallowed ground to many anglers, the area I see the greatest opportunity to reduce your "footprint" on the water in is the area of lure selection. We all have our "confidence" or "go-to" baits, but if you are a "what if" type of angler, you're likely to carry extra noise or clutter with you. With that said, trying to build your tackle box for a day on the water can be a little overwhelming if you are not preparing effectively. You'll end up second guessing yourself and taking every color combination imaginable with you. At the end of the day, you'll most likely find that you never even touched 80-90% of the lures you took. Or worse, you spent so much time changing between lures that you never really fished or had time to identify what the fish were keying in on. So, what can you do to minimize this from happening? My approach is to think about what makes sense for the area you are targeting. If you are fishing an area loaded with shad and other minnow-like forage, then perch and sunfish imitations or large profile creature baits could be left at home. Now, I'm not saying get rid of those additional color patterns, because it is not uncommon to try something that is just a little different to turn the bite on. I am only suggesting that you limit your "off-color" selection to 2-3 baits based on water clarity and avoid carrying an additional tackle tray for the "what if" scenario. In my kayak, I carry no more than two tackle trays, and they are setup to cover the top, middle and lower areas of the water column. My tackle trays are the 3600 series trays to facilitate storage in my Hobie Pro Angler's tackle management system, but they also fit in a standard milk crate. For the target species mentioned earlier, the first tackle tray is setup like this: I load the top row with 6 jigs (two each in black/blue, green pumpkin and orange/brown). 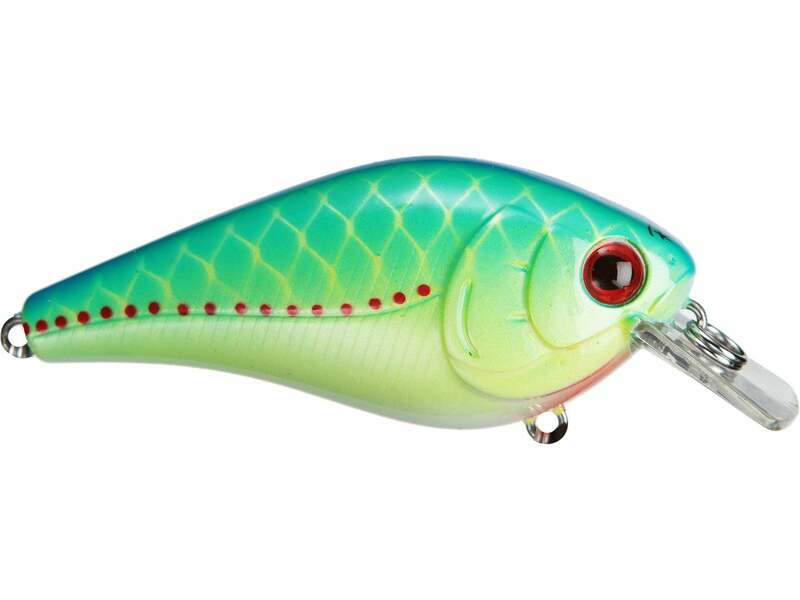 The next row is split into two compartments: one has a couple of square bill cranks baits, while the other compartment has three or four lip less crank baits. The third row has a couple of jerk baits and a couple of top water plugs, while the lower row has a couple of hollow-bodied frogs. The right hand side of the tray has the separators removed to leave it open and that is where I keep three or four spinner baits and a couple of buzz baits. The second tackle tray is the same size and is actually used for terminal tackle only. It has all manner of hooks, jig heads and weights necessary for rigging up my various soft plastics. 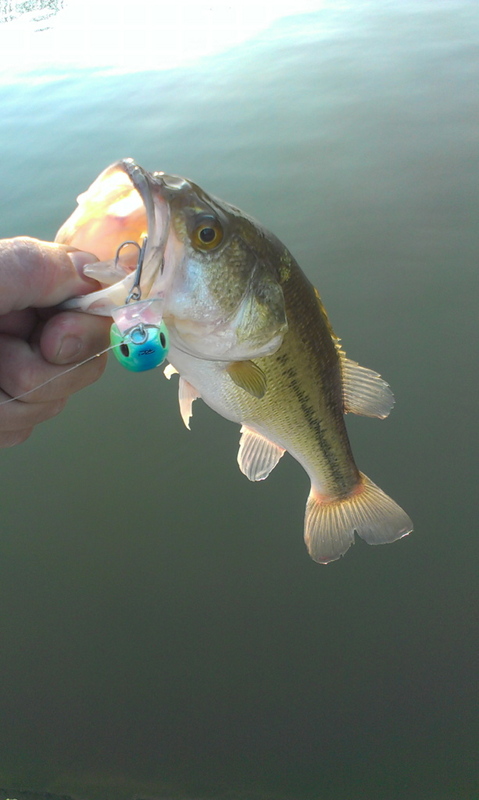 The only other lures I take with me are soft plastics, including worms, grubs, jerk shads and frogs. I prefer natural colors, but I will carry colors that I can switch to based upon water clarity. 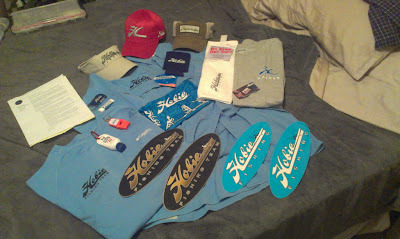 These items are kept in their original bags and just placed either in the storage areas on my Hobie Pro Angler or in a milk crate in a single gallon sized freezer bag. Other than that, the only other items I carry are a waterproof container for my personal items, some fish attractant and a leader spool. So far, we have covered rod and lure selection using the minimalist approach. The last step in this approach is the target area or areas on a given body of water. For some of you, this is old hat and part of your normal approach, but it's not uncommon to see novice anglers heading out loaded for bear with no clear idea on what they will be doing or where they are going after they launch. When you are planning an outing, you should already have a plan and head towards those specific areas first. In some cases, you know the area well enough and avoid the non-productive spots based on past experience. In other situations, the weather conditions and physical makeup of the body of water dictate the lure selection and most likely places to hold fish given the time of year. So, why not take that approach every time you head out. What I mean here is equivalent to fishing more intelligently and minimizing the chances of wasted time on the water. By default, this means that we as anglers should be focusing our fishing tactics and gear towards specific areas or features on a given body of water and not on what we could potentially run into. For example, a body of water I fish often is frequented by many kayak anglers and boaters alike, and it has a variety of structure and cover opportunities. On any given day, you could fish deep channel ledges and shallow secondary points in one section, then move to another area with lily pads, standing timber and lay downs, and yet still move again and work over some shallow flats and drift the creek channels right up to the bridge pilings. If you planned your outing to hit all of those locations, you would spend more time moving between spots and less time actually fishing. Why not eliminate 75% of the fishable water for that given outing and just focus on an area that offers two to three different structure choices and cover variations? By doing this, not only have you increased your fishing time, you have allotted yourself more time to establish a pattern through direct and focused observation of the conditions and environment around you. Every time you head out, you are building a library of understanding for that body of water. An easy way to do this is to imagine the body of water as a tic-tac-toe grid. Eliminate the non-productive areas based upon your knowledge and research before you leave the house. Once you have selected your target areas, hone in on definitive spots and eliminate the lures and rod combos that will clutter or increase the "noise". If you are targeting lay downs and ledge transitions in the 4-8' range, leave the deep diving crank baits and vertical jigging spoons at home and opt for a few square bills, spinner baits and some slow moving presentations. Or, if you're targeting heavy standing timber and grass mats, leave the two or three extra rods with light line and lightweight lures at home. These are "noise" factors and only make your day on the water less focused and even less productive. After a few trips, you will have developed a workable approach that you can adapt to other areas of the lake almost automatically. In the example above, I ended up choosing two areas or grids of the lake in close proximity to one another and selected three presentations for the day. I pre-rigged them the night before and only left myself with one decision when I launched - which color was I going to start with based on water clarity. The other factors of retrieval speed or lure action are determined on the water based upon the fish behavior. When I had thoroughly worked an area, I moved on to the next spot and repeated the pattern. The key here is to not allow yourself to sit and hope for a bite. You need to identify the prime areas and make sure your time spent at each "spot within a spot" is more focused. Because I had minimized the "noise" and honed in on a given approach for that outing, I was able to dial into a workable pattern in the morning, then as the day progressed, I was able to adapt to changing conditions due to less "noise" and still have a productive day. I utilized this approach in two separate tournaments at different times of the year on the same body of water and won both of them. Does this approach always equate to catching fish or winning a tournament? Not necessarily, but it did afford me more time to actually fish rather than second guessing myself or changing lures every 10 minutes. I hope you found this article useful and will consider employing some or all of these tactics the next time you head out on the water. Had a chance to hit the water for about six hours today on my day off for a change. As many of you know here in VA, the last month or two has not been the best on Fridays for my fishing habit. When the rain cleared early in the morning and the clouds started to roll away, I loaded the new Pro Angler 14 in short order and picked out four rods to use on the day. On the way to my target location for the day, I stopped off at Appomattox River Company to pick up my 2013 Hobie Fishing Team Pro package. Boy, Hobie really outdid themselves this year. Last year, I was just happy to get accepted onto the team and was happy with my hat and shirt. This year, they setup the team members with three different hats, three different shirts, some more stickers, a Hobie BUFF and some other Hobie logo accessories. I figured what better way to break in the new swag than to hit the water and get some fishing in. A short drive from the store, and I was on the water in no time. In keeping with my goals for 2013, I grabbed my new crankbait rod and started slinging the good ole L7 Square bill for a little cranking action. I also slipped in the new PTL Swinging Hammer, the PTL Sick Stick and a SWL Quick Strike Spinnerbait. The winds were still blowing in earnest throughout the afternoon but nothing like the last month or so. The day was tough going with nary a bite to be had on the first two ponds I targeted. I fished every square inch of those ponds and didn't even get a single hit the entire time. I knew my fishing window was coming to a close if I was going to make it back home in time for dinner with the family. So, I made a tactical decision and decided to hit one more spot that usually has some hungry bass even if they aren't the largest. A few minutes later and I was back at it slinging the blue chartreuse squarebill crankbait. It wasn't long before I had two aggressive strikes but no hookup. I slowed the retrieve a little more and paused it right over a laydown and BAM - fish on!!! Nothing to brag about but a fish is a fish on a tough day like today. This one was only 10" on a good day. A follow up cast to the same spot with the same pause and another fish hits it. This one was a little better measuring in at 14". Not the best day by far, but seven fish in under 45 minutes works for me. I'll be hitting the James River next weekend for the annual Shad Shootout to benefit Multiple Sclerosis. I'll be taking my son with me for that one, so he'll ride shotgun in the back of the Pro Angler. Hopefully, he'll get into some shad on his ultralight. What fun that should be!!! Until next time - tight lines and be safe!